The Aquadome is a non-profit, volunteer-operated venue dedicated to music, art, and community in Kirksville, Missouri. It is, unfortunately, not a water park. 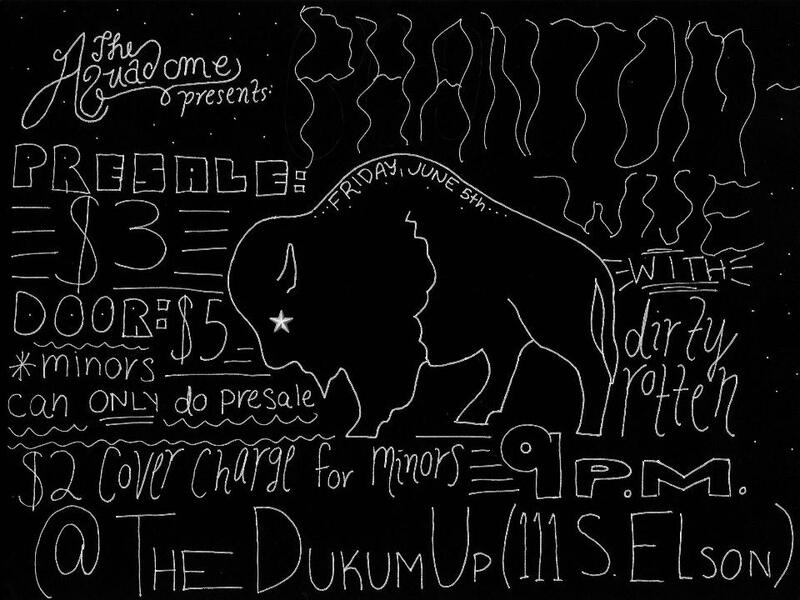 For the first time in a lonnnnng time, The Aquadome will be hosting a very special summer show at The DuKum Inn with headliner Phantomwise + new KV band, Dirty Rotten. Phantomwise is a soulful pop-punk band. They’re crossing the country this summer + are ready to rock this nation their with catchy tunes. Dirty Rotten is a band made especially for this show. Their sound may be a surprise, but it is certain to rock!! Bring friends + get ready to boogie down. Congratulations to these amazing individuals!! We can’t wait to see what you guys do next year!! Another congratulations to our past executives that are graduating: Ashley Byrne, Eric Ward, and Colleen Ryan! Best of luck with everything and come back and visit us anytime!!! Come down to TruYo for Truman’s always funny, Upchuckles and the slam poetry of TruSlam. The event is free but don’t forget to buy a treat from Tru Yo to support a local business since they are letting us use their space!